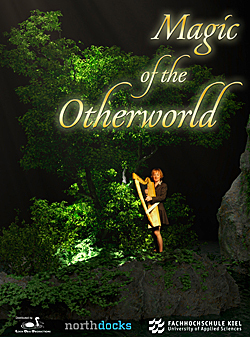 MAGIC OF THE OTHER WORLD: Treat yourself— a journey through the Otherworld — a magical place born from the mythology of many cultures. It's a place of legends, where mythical creatures once existed in harmony among the mountains, islands, springs, and forests. Today, we experience the Otherworld through our imaginations, and perhaps in our dreams. Now, this mystical realm can be explored in the immersive fulldome environment in a beautiful 50-minute entertainment show that comes from Mediendom Kiel. Magic of the Otherworld invites audiences into virtual landscapes accompanied by the beautiful harp music of Christine Högl.